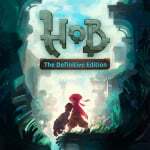 The recently-released Hob: The Definitive Edition came as a pleasant surprise, offering Switch owners an enchanting experience packed with puzzles, powers and a mysterious world that needs saving. As you'll know if you've already consulted our review, we really liked it – and it's clear that the conversion job done by Panic Button is top-class. 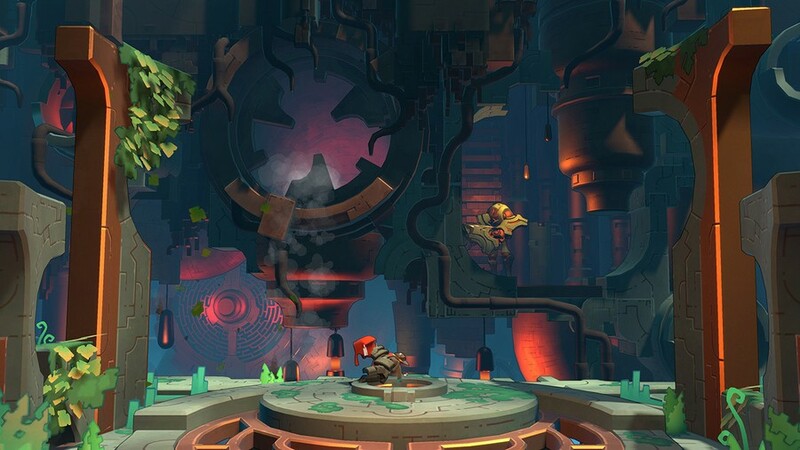 Keen to know more about how the company came to work on Hob, we sat down with Panic Button Technical Director Andy Boggs who has been previously involved in the Austin-based studio's other Switch ports, which include DOOM, Rocket League and Wolfenstein II. Nintendo Life: How did the partnership with Perfect World begin? 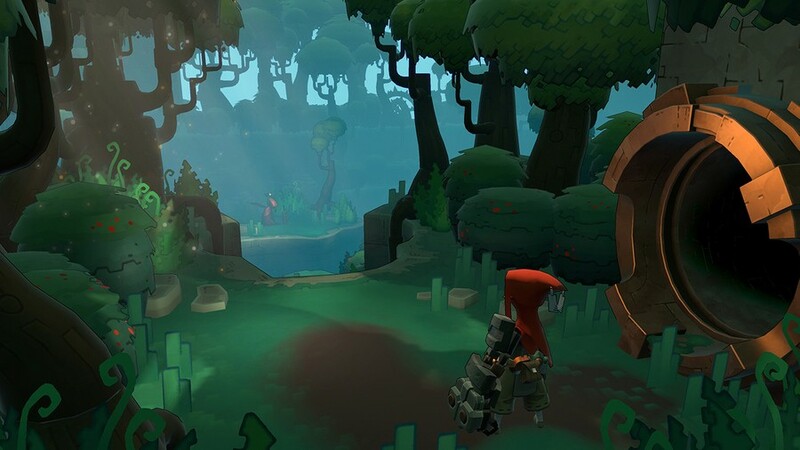 Andy Boggs: We were introduced to Perfect World through our work on the original release of Hob on PC and PlayStation 4. We’d done some rendering and optimization work on the PS4 release, and we really loved the game and working with the original team at Runic Games. Throughout the project, we just kept thinking about how well the game would fit on the Switch. The art style, the gameplay, the world that they built – it all just felt like a Nintendo game. As we got more and more experience with the Switch, we kept coming back to that idea, and when we talked to Perfect World about it, they were totally on board. Since then it’s been a great partnership and we’re looking forward to doing more together. You've become experts when it comes to porting games to Switch; has Hob posed any technical issues that you've not encountered so far? Absolutely. 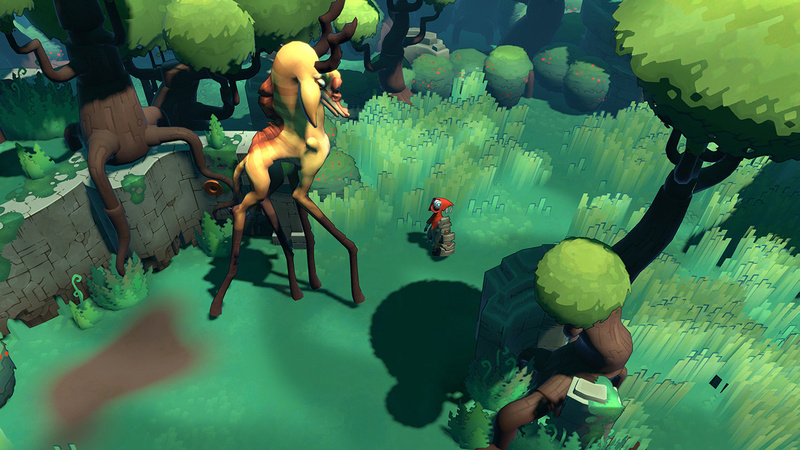 Hob is unique among the games we’ve ported to the Switch in that it has a big open world. A player could run between all the different areas of the world without ever seeing a loading screen, which was a big challenge. There are also some rather massive vistas in the game where you can see almost the entire game world all at once, which was challenging. For us, one of the most interesting things about the type of work we do is that no matter how many games we’ve worked on, each one presents a unique challenge – we’ve never seen it all. Tell us about the improvements and enhancements present in the Switch port – how have you enhanced Hob for the Switch audience? We had the benefit of being able to take a step back from the original and ask ourselves what we could improve while maintaining the spirit of the game. The main thing we wanted to tackle was the sense of direction and continuity for players, answering the question, “Where did you come from and where do you go next?” This was a big challenge to solve because we didn’t want to introduce something heavy-handed like a journal, given that the whole point of the game is the minimalist style and the player’s role in interpreting what’s happening around them. Our solution was to take the player’s progress and show it to them visually with the Memories screen. At significant points in the game, we capture a screenshot of what the player is doing and the place on the map where it occurred. At any point, the player can now view a chronological record of where they’ve been and what they did. Another change was to platforming. The game has some challenging traversal puzzles that, if you missed them, meant a respawn at the previous checkpoint. We took a cue from older games like Zelda where, if you fell to your death, rather than restarting, you simply lost one of your health pips until you ran out. We felt like this made these mistakes a bit less punitive without totally removing the consequences. Players will also notice that we completely revamped the UI for the Definitive Edition. Everything was re-evaluated and updated. We added features like showing previews of skills you’ve acquired and adding touchscreen support, lots of quality-of-life updates. The original team also had a ton of beautiful concept art that we wanted people to see, so we added a lot of that art as unlockable rewards for playing the game. There are a lot of other small (but we believe meaningful) changes to the Definitive Edition that players will discover. We also realize that some of the fans will want to play the game as it was originally, and we added that option. Players can choose to play the game in ‘Classic’ mode, which provides an experience much closer to that of the original. Hob is slightly smaller in scope when compared to your other ports, such as DOOM, Wolfenstein 2 and Rocket League. Could we see more indie-sized conversions of this type from you in the future? The main thing we look for in a project is that it’s something we’re passionate about and really believe in. I remember looking at trailers for Hob, long before we ever met the original development team and all of us were just blown away by this beautiful world they were creating. My hope is that we always put that excitement first and foremost when choosing what we work on, whether it’s a AAA title or a smaller indie title. I’d say definitely yes. Finally, regarding other projects, are you guys also working on Wolfenstein: Youngblood on Switch? We don’t have anything to announce at the moment, but that game does look awesome. Honestly I am stoked for this game. Was a huge fan of Torchlight and the old Diablo team still gets it. I don't think ile play this game but it does look good. I really like this game, docked it looks really good, but the graphics when undocked are really unacceptable, almost 3DS like. Were it any developer other than Panic Button this would have been called out. Hob is a truly fantastic game. Beautifully designed and loads of fun. Agree with @nab1 that handheld graphics are absolutely abysmal. Luckily I play mostly docked. I’m currently playing DOOM... again. The first game I downloaded on my Switch practically a year ago. Still incredible, these guys are amazing, long live the Switch! in Handheld this game looks awful on Switch. Not playing it over - so do not care - but If you only have a Switch, play it Docked. The time the original artist spent making this world deserves it. I hope they fix handheld – then I'll buy. I play 100% handheld so I’m holding out hoping they make it look a little better. @Paraka While I loved D2 and played it for untold hours, and Torchlight 1 and 2 were pretty cool and well designed. I feel when D3 Reaper of Souls came out they brought the genre forward in many ways moving away from potion popping/management which was not a fun mechanic, nor was basically spamming 2 abilities only. Basically after having gone back and trying to play those games after D3: RoS I could not go to any game that relied heavily on potions as a mechanic. @Jokerwolf - I can agree with this. I do believe though, by making character flexibility and depth very stand alone, they faltered by making the items very bare, ultimately serving as stat sticks for the abilities used. I still think what D3 did is forward for the genre, but they didn't stabilize the growth and address the holes that were left in its wake. Predicted something like this interview was like they wrote the review the way they did, barely mentioning the original developer or the probs it had graphically. @Paraka Oh I agree, and having the end game sets be very specific build wise was an unfortunate step away from the freedom of the genre. You can tell the resolution got "Panic Buttoned" in handheld mode. Meanwhile, Darksiders Warmastered, a dazzling AAA game and remastered manages to hit a full 1080p docked 720p handheld with optional 60fps modes for both. And even the 60fps mode in handheld looks better than Hob. I was going to pick this up before the sale ended but if the graphics are hurting so much in handheld mode I’ll wait until there’s a patch or something. Shame- this game looks awesome but I play in handheld all the time. @JaxonH Agree. Panic Button has become a bit overrated at this point. They did a terrible job with this game. Really feels like a low effort rush job. The whole appeal of the Switch is to play games in handheld. @Jeronan Since it is a budget title, they probably had their b-team work on it and didn’t devote many resources to it. You can’t blame them, though since they only get so much money to port games over. Andy HOBbs? That's almost as good as Doug Bowser. Excellent game, I've finished it this weekend. There's only a major drawback in this port: the audio appears to be heavily compressed. This game is rock solid. I play 75% docked so it’s no issue for me. @nofriendo I'm surprised.. This is the first time I hear about this, and makes me happy that I decided to wait for a bigger discount than the 10%. I pretty much only play in handheld, and that this wasn't mentioned publicy makes me dissapointed.